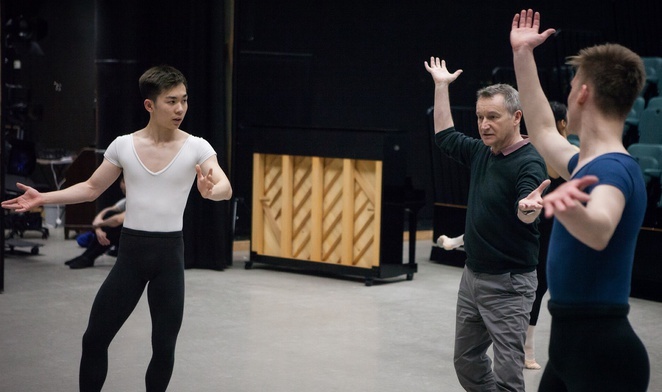 Famed choreographer David Bintley may be associated with working with Birmingham Royal Ballet but his latest work is with a city dance school. For the first time, Bintley has choreographed for students at Elmhurst Ballet School in Edgbaston for their summer show - Summer Variations. Limited tickets are available to the public for the show that includes the premiere of Bintley's Comic Cuts along with Explosionspolka by Sir Frederick Ashton and specially commissioned contemporary dance works by guest choreographers. Performances at the school's Studio Theatre in Bristol Road take place from July 7 to 14 and will showcase Elmhurst's young dancers and Lower, Upper and Graduate School students. Elmhurst is the oldest vocational dance school in the UK that is associated with Birmingham Royal Ballet (BRB) and many students from the school have had an opportunity to appear with BRB. David Bintley working with Elmhurst pupils. Bintley's Comic Cuts is a 15 minute work in five sections with music by Raymond Scott, whose scores were adapted for many 1930s cartoon classics such as Warner Brothers' Bugs Bunny, Porky Pig and Daffy Duck from the Looney Tunes and Merrie Melodies series. It has been choreographed on Upper School students and features witty bursts of entertainment to highlight the personality of each dancer. Explosionspolka by Sir Frederick Ashton will be performed for the first time in over 30 years. The polka was last performed during the 1984 Christmas season at Covent Garden and will be restaged by Ann Whitley for Upper School students. Meanwhile, French-born Stéphen Delattre, Choreographer and Director of Delattre Dance Company, has been commissioned to create a contemporary dance work on Graduate students. Birmingham-based contemporary dance choreographer Adam Rutherford will also create a new piece for Lower School Year 11 students. Also included in Summer Variations are two short pieces by Year 9 student Olivia Chang-Clarke and Year 13 student Chloe Jones. Both are recipients of Elmhurst's annual David Bintley Choreographic Awards and both choreographed on their respective year groups. The summer show is an opportunity for students to highlight their range of work over the course of a year from ballet to character, contemporary, jazz and flamenco dance. It also marks the final school performances for the graduate students as they bid farewell to Elmhurst and join professional dance companies across the world. This year's show is a coup for pupils as Bintley is one of the major players in British ballet. 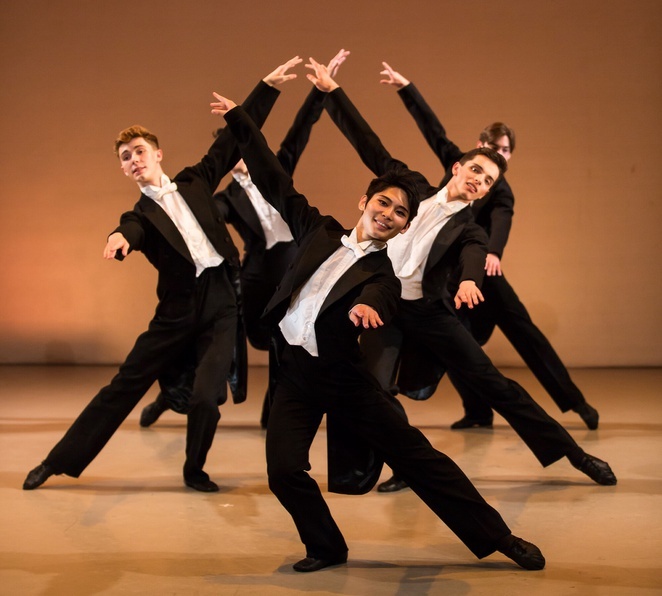 Bintley, who is Director of BRB along with being an Artistic Advisor of Elmhurst Ballet School, says: "Many of Birmingham Royal Ballet's current dancers trained at the school, and former dancers have gone on to teach there, so it is an incredibly important part of the Company. The Upper School students have impressed me with their professionalism, energy and enthusiasm." The school is led by Principal Jessica Wheeler and Artistic Director Robert Parker - a former Principal dancer with Birmingham Royal Ballet. It is the only purpose-built vocational dance school in Europe and includes a studio theatre, seven dance studios, academic classrooms, on-site accommodation and a state of the art Health and Well-being Centre. Tickets cost £20 from eventbrite. Elmhurst vocational staff creating and restaging work for the shows are Sarah Blackwell, Ana Garcia, Laura Green, Gloria Grigolato, James Grundy, Michael Ho, Nicky Linzie, Hannah Lockyer, Susan Lucas, Jenny MacNamara, Graeme Pickering, Errol Pickford, Lee Robinson, Judith Rowann, Andrea Tredinnick, Denise Whiteman (Assistant Artistic Director), David Yow and Lei Zhao.